Like many of the people that I have Interviewed, I have not meet Mr. Yu Cadowachi. 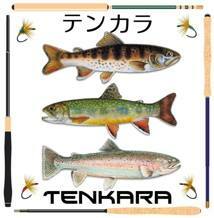 We are part of a bigger “Internet Community of Tenkara” found on social media. The sharing of his photography is what attracted me to start following his posts and to start a conversation with him. Ultimately this is the reason why this Interview has been produced. Cadowachi-san has a special fisher eye for beauty, to capture with his lens. Pictures are worth a thousand words and I hope we get some great photographs from him to display with the interview. Without spoiling anything, I would like to get started with the writing of this Interview. Adam: I am learning Japanese custom all the time, I would like to start the interview well and perhaps be a little formal yet ask for permission to drive deeper into a meaning of Tenkara. Yü Cadowachi: I'm 34 years old and I started fishing when I was a child. My father liked river fishing, my mother sea fishing, so I did both. Since then I tried many kind of fishing. Tenkara is the one I like best, so this past 9 years I dedicated myself to it, but I do so fly fishing too. Adam: I’ve been practicing Tenkara for about 7 years now, strictly Tenkara, no other angle. I am a fly fisher since I was a boy and started studying it when I was a young adult. I’ve learned to make bamboo fly rods and I also have been writing about it, making Internet forums and web sites on the subject for quite some time, since the mid-early 90’s. I appreciate a fly fisher’s skill in angling, what we do, how we fish in the river environment. 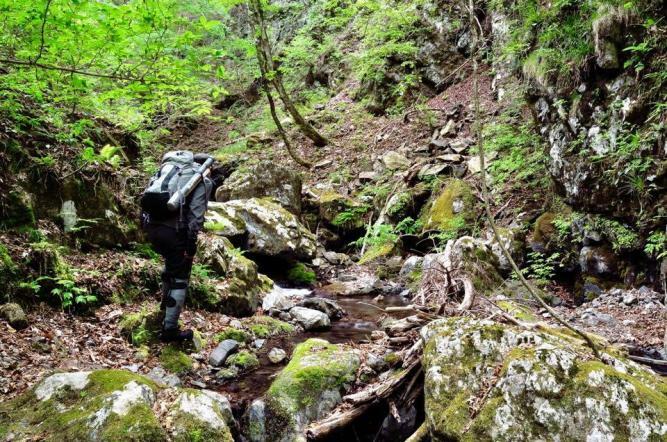 Yü Cadowachi: I like the water, the view, the solitude, the fishes that live in natural streams, the chance to see other animals too... As for stream fishing with Tenkara, I like the fact that I don't need to bring too many tools. 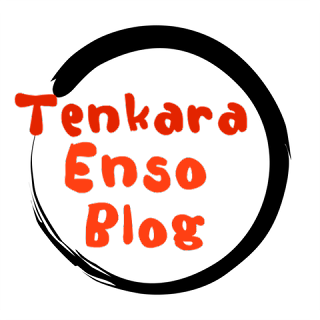 Adam: Tenkara-Fisher is an online community, a bridge to Japanese Tenkara and as it is practiced outside of Japan. 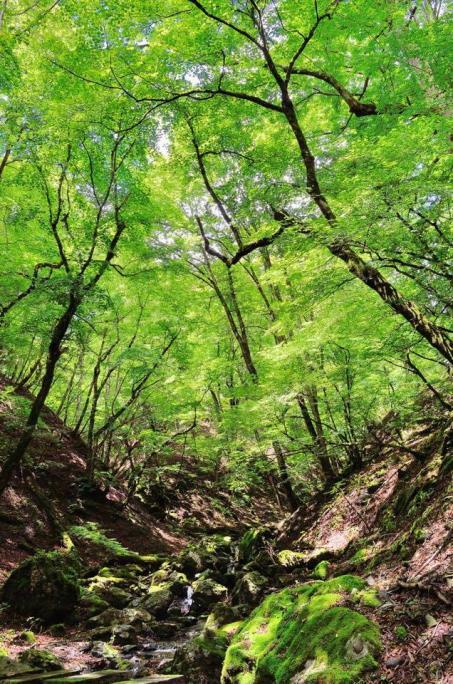 It is also a place where we collect our stories and our conversation about Tenkara. In the beginning when we did not know much about it. Daniel Galhardo and Tenkara USA taught us very well. His information is authentic and I appreciate it even more now than ever. In the beginning, we had some Japanese anglers help us to keep it authentic too. We still have that now but our audience has grown and so has our knowledge base. I would like to think we know much more about Tenkara than we did when we got started. Yü Cadowachi: I think that you all show more passion about Tenkara than the average Japanese! Adam: I think the Japanese have refined the telescoping rods and this type of fishing to a very high level of practice. In America, we take the equipment and adapt it to our environment and we say that we are creating “American Tenkara” and it makes me wonder why Americans say this. Yü Cadowachi: I think Tenkara is just Tenkara everywhere. Even in Japan there are different types of Tenkara for different environments, and it seems that a long time ago there were different names in different places. Now it's all Tenkara. So I think that it's natural and also important to have different styles in America too, but it's not necessary to change the name. Adam: I am an American but I just do Tenkara, it is Japanese fly fishing the way I see it. 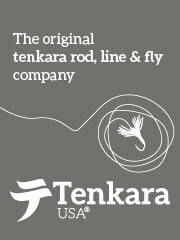 I like a quality Tenkara rod that is matched to the stream and fish size. I like to balance a nice level line size to the rod too. When you cast a good rod with a balanced line and kebari, you can cast where you want easily, right where you think it should go. I think it is important to be able to cast accurately, to be able to think of the spot, exactly to the spot where the fish is and then the kebari is there without even telling your arm to move the rod and deliver the fly, it’s just done. I think kebari goes there and it’s there. Rod length is my first consideration when choosing a rod out of my quiver to do this. Yü Cadowachi: The lenght of the rod is also very important for me. I like the Gamakatsu Suimu 4.0(がまかつ水舞4.0) because it can be used at 3 lenghts(3.0, 3.5, 4.0). I'm also fond of its design. Adam: Before Tenkara, I did fly fishing Western style. I matched the hatch and I loved both nymphing and fishing dry flys. With Tenkara, I can do the same thing but I don’t do too much bottom drifting. I use Sakasa style kebari and I primarily fish wet or sub surface. I sometimes take a Ishigaki style fly and dry it off and fish it as a dry fly. I love watching fish take the fly, it’s one of my favorite ways to catch fish. As I get deeper into Tenkara, I get farther away from my fly fishing practices. I do not see the stream so much for the insects and aquatic food base for fish rather, I see the flow of the stream much more. I use my kebari and drift, pulse, sasoi or sutebari. I have about five or so Tenkara kebari that I choose from, primarily Sakasa and Ishigaki style kebari, some material differences and color. Yü Cadowachi: I use a form of kebari that to my way of thinking into the water can resemble different insects. I have my own kebari design and I mainly use that. It's easier if I show you a picture. Too me the flow of the stream is very important too, but I think that the size and color of the kebari is also important because it varies from stream to stream. Adam: I enjoy tying but my tying now compared to when I was western fly fishing has drastically changed. My materials are far less and it’s easier to whip out a couple of dozen very effective kebari. Yü Cadowachi: Yes. I love tying so I enjoy trying different materials. 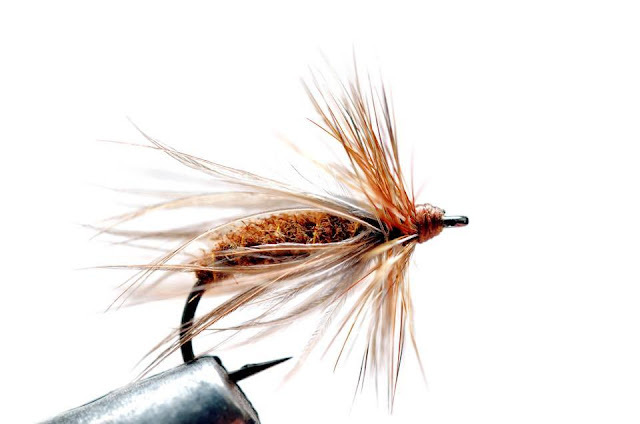 My new challenge is a classic salmon fly. Adam: You know, I want to compliment you on your photography. It is brilliant, precise and each one of your photographs look like they are taken with care and framing. You really do good work. Yü Cadowachi: Nothing really special. I pay particular attention to light and composition. And naturally choose places that have a particular atmosphere. Adam: I used to use a specialized dedicated camera for my own photography, now I just use my iPhone. The detail is more than enough for social media or for print. Yü Cadowachi: I use a Nikon D700 but I also use my Iphone. The last generation of Iphone is as good as a camera. It's possible that in the future I will use only the Iphone. Yü Cadowachi: I like fishing foremost, so I like to travel in places where I can fish. But I enjoy nice places and good food too. Adam: I have some favorite rods but when I get on a plane, I like to travel as simply as possible. A small backpack, a monk or messenger bag, all carry on and that’s it. I use Nissin Mini rods, very compact, twenty something sections for 3.6m rod. I carry three to have spare parts and to have different lengths. These rods go inside of my backpack. For tackle, I carry a small strap pack and a couple of dozen kebari, a spool of tippet and a hemostat. My travel kit is basically my regular kit with the substitution of the Nissin Mini rods for portability. Yü Cadowachi: I use the same kit everywhere. I bring 3 kebari boxes, 3 spools of fluorocarbon tippet (different thickness), line and the Suimu rod. It's all I need. Adam: I have visited Japan two times for Tenkara friends and fishing. I’ve fished about a dozen different streams and rivers with experts in fly fishing and Tenkara. I’ve learned so much about Tenkara and even fly fishing from my friends in Japan. Travel fishing adventures are amazing and excellent opportunities to meet new friends and learn Tenkara techniques that aren’t practiced here in America. Your trout are a little difficult to catch. The water is so clear and shallow and unless you are hiking in quite a ways, it’s pressured. Yü Cadowachi: I've never been in America, so I really don't know where I would like to go. For sure I would like to try salmon fishing in Alaska, but I'm interested in any kind of indigenous fish. If you any advice to where I should start, please let me know. Adam: In my definition of Tenkara, it is mountain stream fishing or something very close. I use Tenkara techniques on urban (man made lakes in the city) impoundments to catch stocked trout. I like how these trout are still a little hard to catch, especially with other bait fishermen fishing near by. But we go and fish right beside them, we catch most of the time, sometimes we get beat by the bait guys but it’s all fun. Yü Cadowachi: I also use my Tenkara gear in fishing ponds, urban rivers..., everywhere I can fish. In the japanese fishing ponds there are different areas for different styles of fishing, so there is chance of a "friendly" competition! Adam: On my last trip to Japan, I invited Adam Klagsbrun to join me. He is from New York and is Tenkara crazy. I’m bringing this up because you know Adam-chan. He visited you on his first day in Tokyo. I really wanted to meet you and ask you a few questions in person about Tenkara to be included in this Interview but it just didn’t work out. Adam-chan and I have similar thoughts on how we describe the core of what Tenkara is. 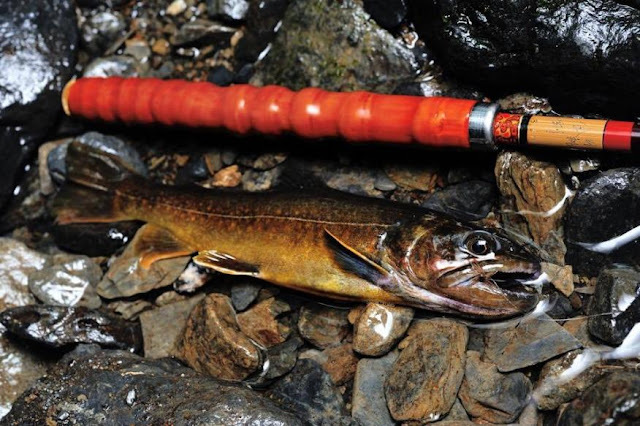 We joined Okushi-san (Keiichi Okushi) and a whole lot more Tenkara Anglers in Tadami town. We went on a small genryu adventure and did some good day fishing. While we were in Tokyo, we discussed our common views of what we thought constituted a good Tenkara fishing trip and we went on and over the top with Okushi-san. I had to balance using my travel gear to go camping. 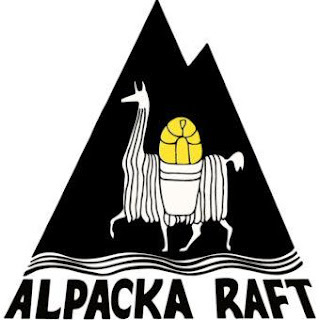 I used hybrid gear, backpack that was comfortable to carry a load but more of a traveling backpack. It ended up working very well for what I did with it. My rods where more for compactness but again, they did what they do very well. The bottom line was, after our trip, both Adam-chan and I knew the level of Tenkara in Japan was no where near what we do in America. In Arizona, where I live, slot canyon adventure fishing would be closer to genryu fishing than actual headwater fishing that I have done. Colorado has steep gradient climbing fishing opportunities and back east, I’ve heard stories from Adam-chan and have read other stories of stream climbing fishing over the years. While I understand the this is just a small portion of Tenkara in Japan, I understand that you guys have roadside fishing just like we do. 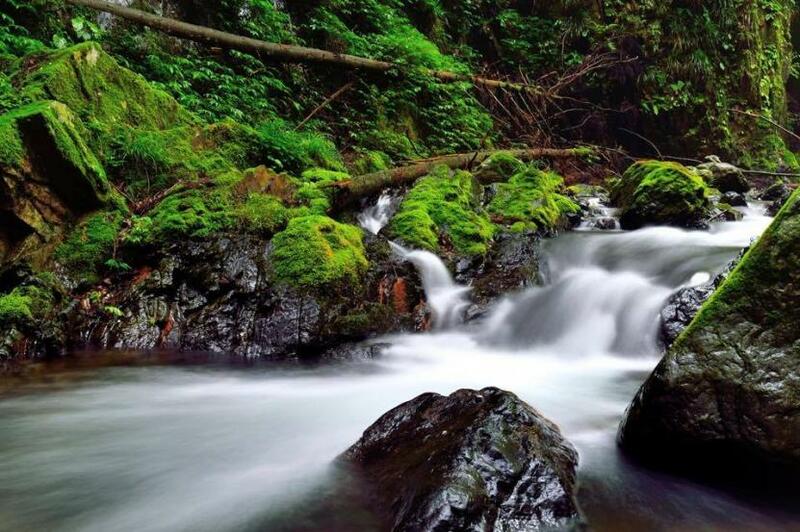 Yü Cadowachi: I enjoy mountain streams the most, and I like climbing fishing. I love to reach difficult places, where the nature is like a jungle. I like fishing everywhere, but those kind of places are my favorite. In Japan climbing fishing is normal because we don't have many place where we can do roadside fishing. We must also keep our eyes open for bears! Adam: I’ve cast enough rods now to understand the design limitations. About 4.5m is as long as a single hand rod can be without getting too tip heavy and uncomfortable to fish all day. On the short end of the spectrum, it’s about a 2.7m rod that I use that’s about the shortest I find useful. I think if I could “design” a rod that I would like, I think a 5m or even a 6m rod might be useful for big open waters. Something that would cast a #3 line. The problem is, at that length of line, the weight of the line starts to sag and drag on the kebari. The idea for me is getting the line far away from me but being as vertical in the water as possible. I’ve learned this on my own but was recently pleasantly surprised to hear it from one of my peers, a friend of mine in Japan that enjoys fishing a long Tenkara rod as much as possible. I use zoom rods but I really like a non-zoom rod too. The zoom rod has more weight toward the handle where as the non-zoom seems to be a little lighter in casting. Of course it depends on the designer. 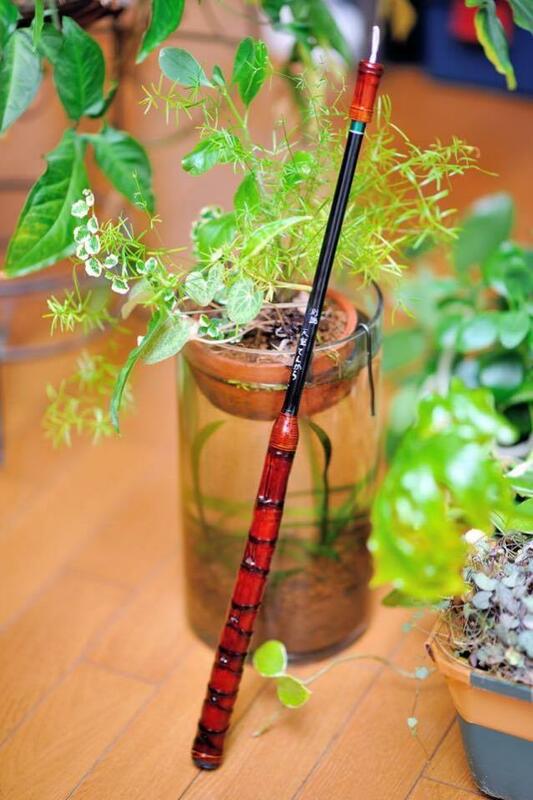 Yü Cadowachi: In Japan there are some people that use a 7m rod without reel for doublehanded Tenkara fishing. I like non zoom rod, but zoom rod are better when you need to adapt the different situations. 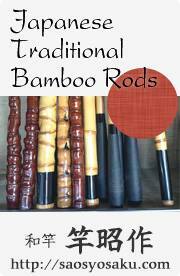 As for rod design, I usually make my own rods changing and adapting existing rods. I try to make rods that work for me and for the places where I usually fish. Adam: Everything in my kit gets my attention. I think about it. I use Japanese bait hooks for my kebari. I think this hook is sticky and I like how I catch the fish more on the edge of the mouth. Seems I catch less fish with the hook deep, I think the bait hooks go along with our long telescoping rods much better as they were designed for this type of rod. I even like the loop that you have to tye in to the hook, I think this aids in the slowing down of the hook when it is set. Yü Cadowachi: There are different types of hook that I like, but my favorite ones are the Gamakatsu S10-B, B11-B and B10-S because for me they are the strongest. 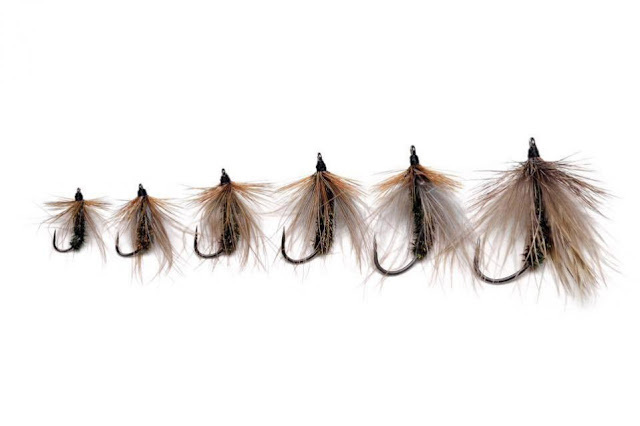 For me they are the best for tying a well proportioned and balanced kebari. For tying I like to use natural material and natural colors, I don't like very much dye. I prefer kebari that are easy to control when fishing. Adam: I use minimal patterns, maybe three types of kebari, an Ishigaki style, a sakasa kebari and one of my design and color.Recently, I’ve started carrying a few dry flys because I enjoy seeing the take. I stuff all these into a six compartment box of some sort and that goes into a small strap type pack. I have designed my own little fishing bag, I don’t use a vest. Yü Cadowachi: If I have to walk a long distance I use a small bag and I bring to kebari boxes. If I don't have to walk too much I use a vest and I bring 4 kebari boxes. Adam: I’ve seen all types of Japanese experts using western fly fishing vests, Ayu vests, fishing bags, no bags, all kinds of things. I’ve been fly fishing small streams for most of my life. My teachers did not wear vests so I didn’t wear a vest. The young man that really taught me the secrets of small stream fly fishing used a fishing bag. Influences in our fishing make up the style and approach of how we fish. Those influences typically define the style we choose and the types of water. All the guys that I’ve fished with did so by hiking far away from the car for wild trout. We could have chosen a stream right by the road but this wasn’t their style. They put a few things in a backpack for lunch and to keep dry and hiked up the stream, deep into the forest. It is by design that I followed in their foot steps. I believe it is the influence of our teachers that we build and create the style of our fishing which brings me to my question to you. Adam: I have my own idea of who they are, I just want to see if I am reading it correctly from my position in America. Yü Cadowachi: I met all of them, and I learned something from all of them, but I was influenced the most by Keigu Horie. Adam: I think my greatest influence is my Grandfather, he didn’t like fishing but he knew a kid should know how to fish so he taught me by a pragmatic approach. After my Grandfather, some of my peers that i went fishing with taught me a lot about fly fishing. As far as Tenkara goes, Daniel Galhardo, Masami Sakakibara, Kazuya Shimoda, Go Ishii, Keiichi Okushi, Yuzo Sebata and a few others are my Tenkara influences. Yu-san, lets slowly close the Interview. Yü Cadowachi: Nobody famous. I would like to fish in different places with local people because I think they are the ones who know how to fish in that place. Adam: Far as myself goes? I’ll actually get to realize my dream by keeping my feet firmly on the ground. Daniel-san has introduced me to Tenkara so I’ll pester him to go fishing with me in the mountains of Colorado. I’ve been doing that for a long time, dream of fishing there and then I make those dreams come true. Now I just have to convince Daniel-san. Yü Cadowachi: Enjoy doing your Tenkara fishing in rivers around the world and I hope I will have the chance to meet many of you in the future! Adam: Yu-san, thank you so much for joining us here, I really appreciate it. I will want to meet you in a couple of years when I return to Japan to go fishing.